Wash and peel the carrot and grate them using grater. Heat a tsp of ghee in a pan fry raisins and cashews,keep aside. Heat remaining ghee in a thick bottomed pan,add grated carrot and sauté for 5 mins or till raw smell leaves. Then add milk and allow it to boil,then add saffron mix well and cook it covered for 10 mins or until milk evaporates and carrots becomes soft and cooked. Keep stirring in between and cook over a low heat to avoid burning. Then add cardamom powder,sugar mix well and cook for 3 to 5 mins. When the milk has almost dried, add raisins, cashews and khoya stir well and continue cooking until the liquid dries up and the halwa leaves the sides of the pan. I love food and I'm aspiring to become a 'foodographer'. Dishgram's Foodograpy Contest is a great platform to unlock my potential. 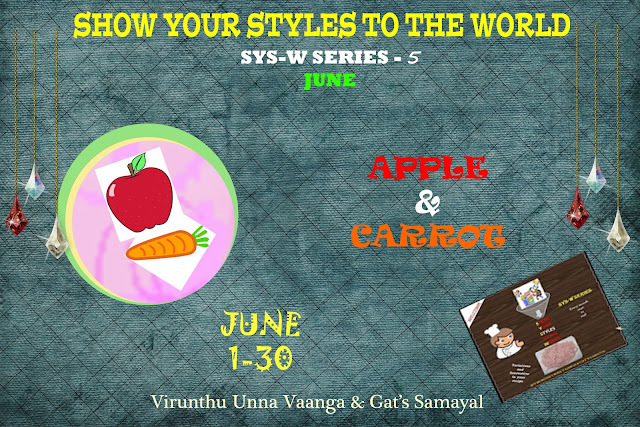 I strongly recommend everyone who has some kind passion towards food or photography to participate in this contest. Here is the link http://bit.ly/11ASedi. Get started! Looks very perfect & yummy Saranya.. Happy b'day to ur dad :) Hope he had a great one !! 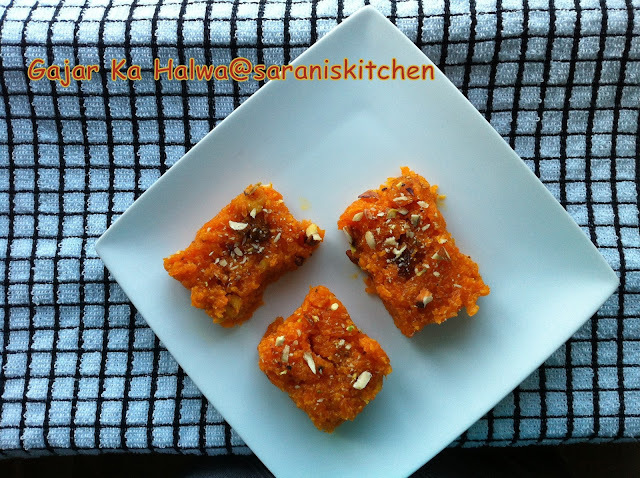 Yummy halwa... I can have this anytime!!! very healthy halwa.easy to make and looks delicious. Mouthwatering halwa. Explained it very neatly..yumm. Belated birthday wishes to dad Sis, wat a droolworthy and prefect halwa for the celebration. 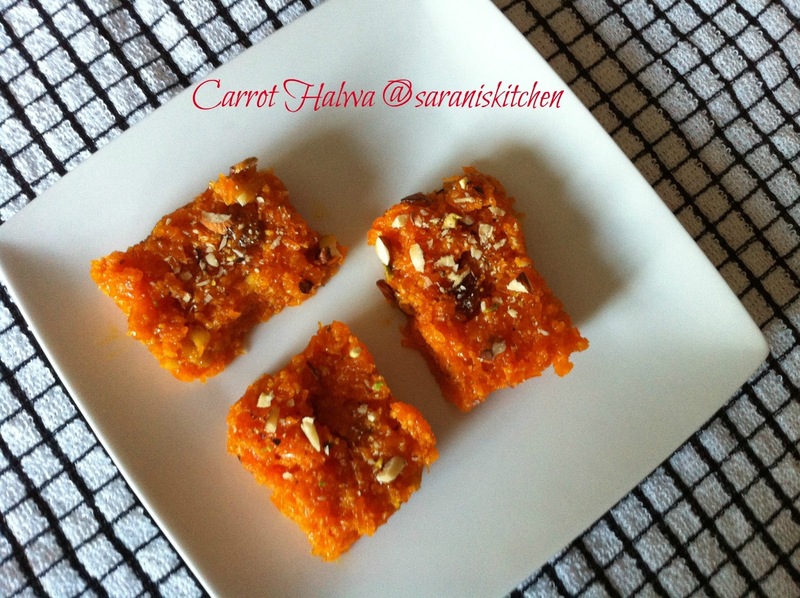 To me carrot halwa is like comfort food. Delicious! Oh I loveee these...ur post just left me craving for it.